← “Wolf! Wolf!” cried the little boy. 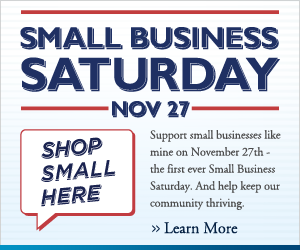 Shop Small Here. And Everywhere. A day to come together in support of the small businesses we love: the shops and restaurants that employ our neighbors and reinvest our money close to home; the businesses that are the heartbeat of our communities and local economies. We look forward to seeing you in Tujunga Village this weekend!